Nouvelle photos de l'Erta Ale, Ethiopie! Style éruptif tipique: Effusive. Persistant lava lake. 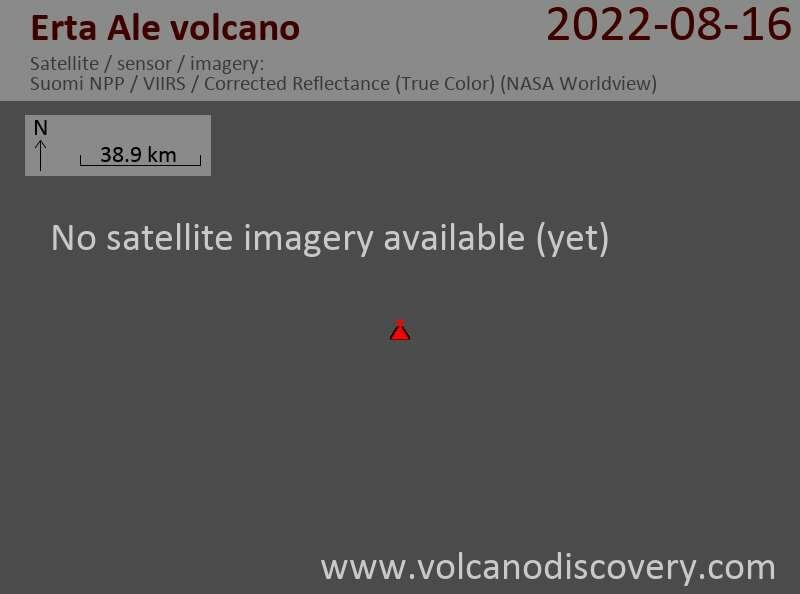 Erta Ale is one of the few volcanoes on the world that have an almost persistent lava lake. It is an isolated basaltic shield volcano, 50 km wide, rising more than 600 m from below sea level in the barren Danakil depression. The volcano contains a 0.7 x 1.6 km elliptical summit crater with several steep-sided pit craters, one of them containing a lava lake. Another larger 1.8 x 3.1 km wide depression, elongated parallel to the trend of the Erta Ale range is located to the SE of the summit and is bounded by curvilinear fault scarps on the SE side. Fresh-looking basaltic lava flows from these fissures have poured into the caldera and locally overflowed its rim. The summit caldera is renowned for one, or sometimes two long-term lava lakes that have been active since at least 1967, or possibly since 1906. Recent fissure eruptions have occurred on the northern flank of Erta Ale.